Zurich Insurance Group is a global financial company headquartered in Switzerland. 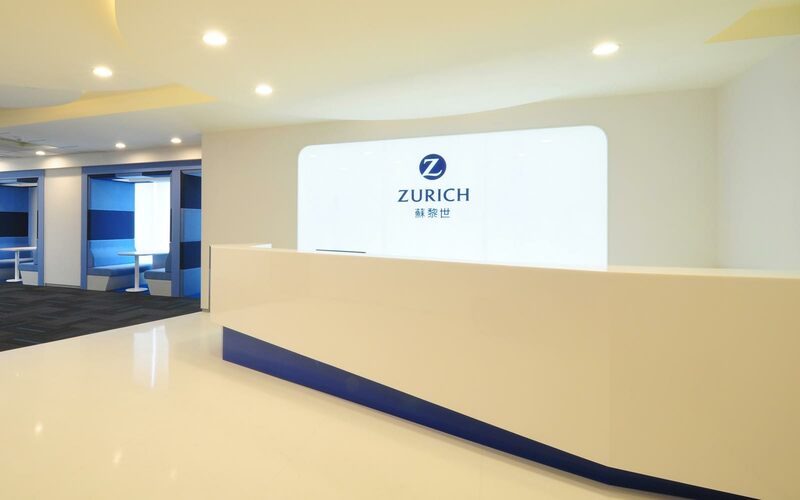 Zurich Taiwan takes up nine floors, totaling nearly 5,000 sqm. 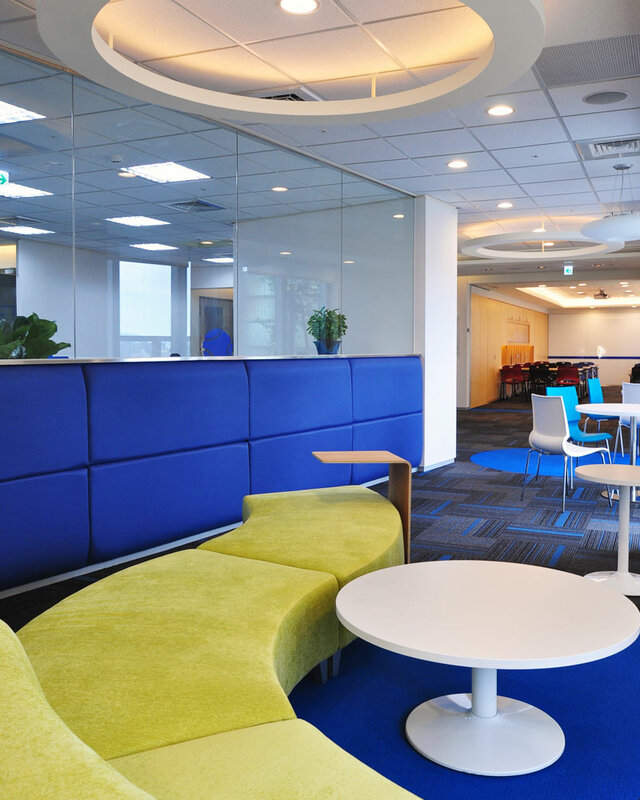 The main design brief was to increase staff interaction among 454 staff and numerous departments. 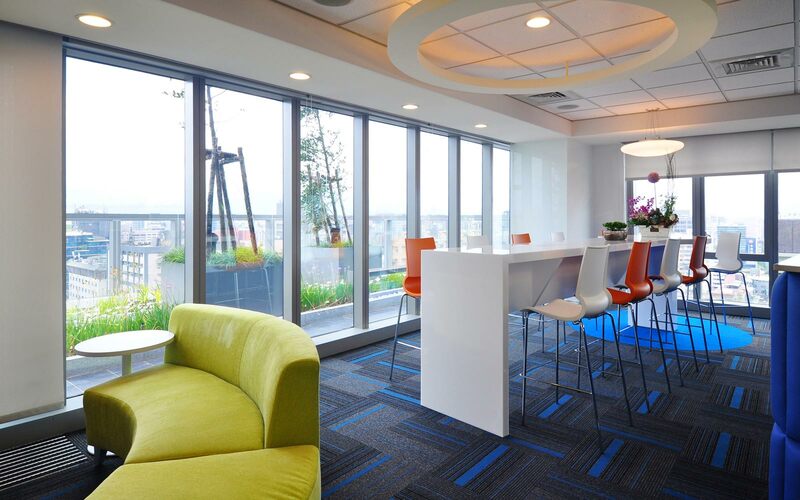 The focus was on the interactive areas and meeting rooms. 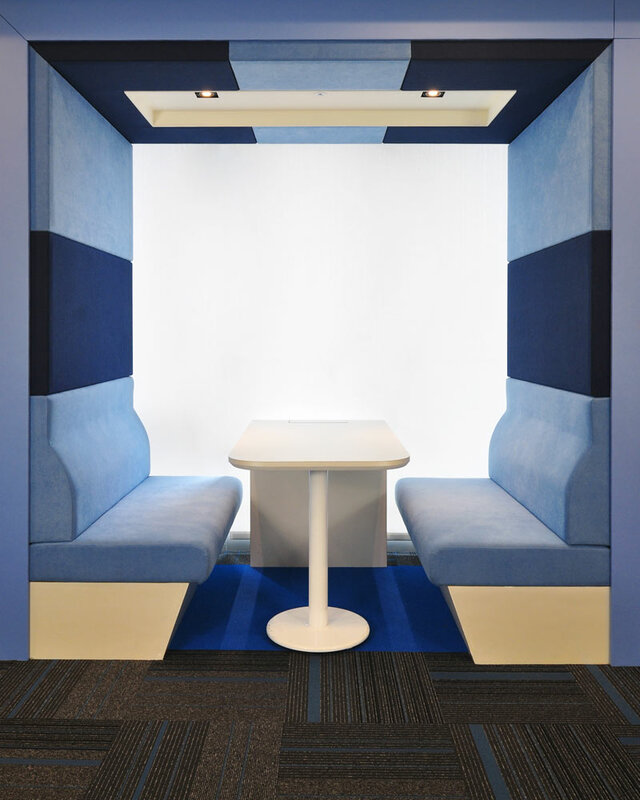 The booth design is colorful to present energy and friendliness. 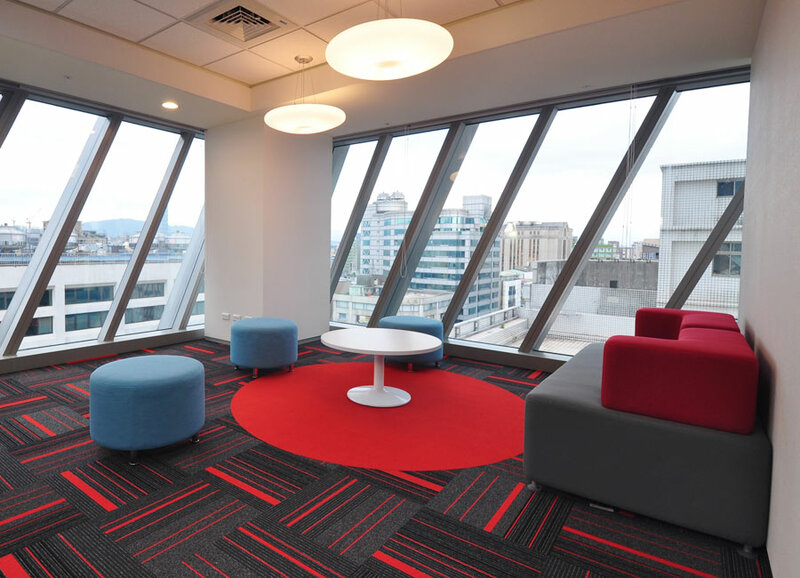 Each floor has a color theme, as seen in carpet, film and fabric used throughout the floor.